Born prematurely in one of the remotest corners of the world, FM’s childhood was plagued by illness, one recurrent problem being breathing and digestive troubles. He grew up on a farm, his education was scrappy because of his health but his village school teacher inspired in him a love of Shakespeare. His father was a blacksmith and a very practical man. Alexander inherited a love of horses and they became his other passion. He rode, trained horses (and gambled) from a child well into old age. FM loved amateur dramatics, was a passionate reciter of Shakespeare’s soliloquies and monologues of Australian outback life, mostly written by Banjo Patterson (who wrote Waltzing Matilda). His favourite was ‘Clancy of the overflow’ and ‘The Man from Ironbark’. FM formed his own one man touring Shakespeare Theatre Company. He began to experience problems with his voice during recitals and consulted doctors and voice specialists to no avail. He was an independent man, and his outback upbringing taught him to call on his own resources. Alexander had an enquiring mind. He spent months in front of an arrangement of mirrors, observing himself at rest, talking, and reciting. (For a full description of this remarkable study see Ch 3 Evolution of a Technique in FM’s own book ‘The Use of the Self’). He overcame his problems and in so doing improved both his breathing and his digestion. He returned to the stage and became known as ‘the breathing man’. His discoveries formed the basis for what we now call The Alexander Technique which he went on developing for the rest of his life. Alexander’s successes became known and both actors and people with breathing and health problems sought him out. He tried explaining his technique to others but found that they, like himself, were so caught up in deeply ingrained physical habits that they couldn’t tell what they were doing. Alexander developed a highly skilled use of his hands to guide others to a new experience of balance and coordination. 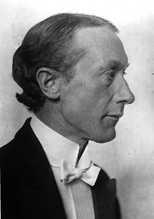 He spent the next 6 years in Sydney and Melbourne before leaving for London in1904. He set off with glowing references from leading Australian doctors and the winnings of a substantial bet on the Melbourne cup following a tip from a bookie he met on a tram! He won enough to pay for his passage and new life. He set up in London and taught his Technique until 1914, including starting a school, originally for children of his students (he was a strong believer that the Technique belonged in the world of education as much or more than medicine). He then split his time between London and New York for the next few years. 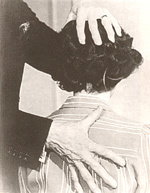 In 1931 he established the first training course for teachers of his technique while continuing to teach private pupils up until his death in 1955 aged 87. These books are still available from http://www.mouritz.co.uk/ a specialist publisher of quality books on the F. M. Alexander Technique. They were considered so important that Sir Stafford Cripps, the chancellor of the exchequer, kept the books in print during the course of the second world was when paper was short and severely rationed.